in JUST 21 Days for life! Exhales Weight Loss Programs with Colon Hydrotherapy Treatments is Changing Lives! HCG and African Mango products are 2 of the biggest selling products in the world in the fight against weight loss in the most stubborn of areas in the body. Now the 2 are combined to give you the post powerful and successful weight loss product to date. The nutrients contained in the African Mango Weight have been proven though multiple clinical trials, to be some of the most powerful weight loss ingredients in the world. They help to regulate appetite and blood glucose levels and increases the rate in which your body converts fat into useable energy. Human Chorionic Gonadotropin (HCG) is a natural hormone that is produced during pregnancy. The HCG hormone causes the hypothalamus area of the brain to signal the body to release stored fat into the bloodstream where it is then available to be used by the cells for nourishment. This alone will not cause weight loss, unless you reduce your food intake. This forces the body to use the mobilized fat from the bloodstream. HCG causes the release of abnormal fat without affecting structural fat and muscle tissue. This means you lose the fat in those stubborn areas--hips, thighs, buttocks and upper arms! You could create a body you love being inside of and KEEP it healthy and slim for YEARS? You had simple tools that get you back on track fast if you fall of the wagon now and again? You could control cravings and 'turn on your FAT SWITCH'? You could SEE and FEEL amazing results day after day? Isn't that the diet you have been looking for? A diet that gives you the results you are EXPECTING or even better? Do you struggle to lose weight, tried EVERY DIET on the planet, only to put it all back on again and more, within a few weeks? Have you spent a small fortune on so-called “miracle FAT burners”, diet products, weight-loss programmes, gruelling exercise in an attempt to shed unwanted Kilos and centimetres with little or NO RESULTS? Do you feel frustrated and almost ready to give up? Do you need to lose weight FAST for a special occasion? 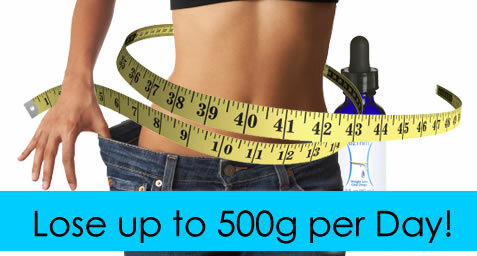 Our clients experience losses of 400g to up to 1kg a DAY! NOW YOU CAN! Change your life with the BODY IQ Rescue TODAY! Introducing a SIMPLE, 100% Natural, FAT BURNING & BODY SHAPING SYSTEM that has been delivering FAST Weight Loss results in the U.S. and Europe for decades! Discover how to unlock and reset the hidden FAT BURNING secret of your own BODY INTELLIGENCE! Fortunately, we don’t use injections nor do we use ANY hormone! We have sourced a proprietary NON HORMONE - NON HOMEOPATHIC 100% natural formulation to help to convert your body into a turbo charged, fat burning furnace that melts away stubborn fat... even while you sleep! The great news is .... you only have to do this ONCE for LIFETIME results! How Cool! Discover why our clients are calling our Drops a 'miracle in a bottle'! Dr Simeons discovered that when administered daily, help the patient not regain weight once off the restricted diet. When on a low calorie diet without HCG, patients became irritable, had hunger cravings, weakness, and/or headaches. The use of the specially formulated BODY IQ drops with a ‘specific’ diet will dispose of the abnormal fat first, which will allow for a visual transformation of the body. It also helps to correct the patient's metabolism which in turn will help the patient from gaining the weight back once off a restricted diet. However, in order to maintain a healthy weight after a weight loss program, one must continue to have a well balanced diet. Dr Simeon's EATING protocol requires you to eat fruit, vegetables and meat, fish or poultry. We have tried and tested the 'original' Eating Plan and made some modifications for our modern lifestyles to make it a little more 'user friendly' whilst still delivering the amazing results! As with any diet your success is dependent on how closely you abide by the diet plan and consume only food and portion sizes allowed. PHASE 1. Days 1 & 2 - Start BODY IQ Drops and begin high fat, high calorie diet. This is an essential step in resetting the body's fat regulating system. PHASE 2. Days 3-21 ( 3 to 42 ) - Continue the Body IQ drops that are now helping in triggering the body to release stored fat as "food" for the body and supplement with the low calorie diet. The burned fat is providing a constant flow of fuel so you won't feel hungry as kilos & centimetres melt away. PHASE 3. 3 Weeks Stabilization Phase. Stop the Body IQ drops. The body's fat regulation system is now adjusted. Determine you BMI and slowly increase caloric intake, (not exceeding 2000 calories) while stabilizing your new 'set point' weight. PHASE 4. Maintenance Phase. Lifetime or transition to next round. This can be the time off between rounds or when you include sugars and starches and learn how to maintain your 'set point weight' for life with our BODYIQOLOGY method.